Many of our degrees include a work placement or internship as part of your study. Box Hill Institute has extensive industry networks and we will work with you to find a placement relevant to your degree. The benefit of these practical experiences is that you are able to apply the skills and knowledge you’ve gained during your study. You’ll also build industry connections which could lead to employment opportunities. Emmely Chan, a recent Box Hill degree graduate, had completed her placement as a third year student in the Bachelor of Hospitality Management at the Day Spa of a five star hotel. 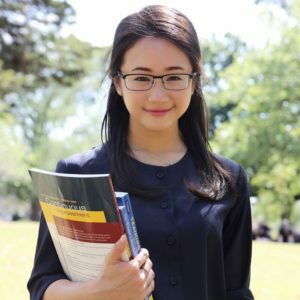 With Box Hill Institute’s extensive industry networks, Emmely secured her internship at Chuan Spa, in Melbourne’s Langham Hotel. She loved her time there and the experience she gained, and as a result, was offered a full time role at Chuan Spa. Many of our students gain full time professional employment from their work experience. This is just one example of how our practical degrees will get you work ready.